Watch Head Trainer of the Permanent Makeup Training Academy, Katy Jobbins, perform a permanent makeup eyebrow demonstration by clicking on the video below. 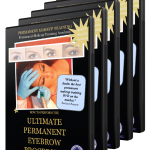 If you are considering training in permanent makeup then download our complete permanent makeup course guide using the form in the footer of this page. Also view the course contents and outline.